Employee Health, News, Tips By Nora Inveiss on January 27, 2016 . One way to make sure your day is off to a productive start is by exercising. It doesn’t have to be anything rigorous – even a brisk walk is enough to get your blood flowing and energy up. If you like to cycle, consider commuting to work by bike. It kills two birds with one stone – you get to exercise by going someplace you’re already supposed to get to. It’s good cardiovascular exercise, which is key to preventing heart disease. Exercise is not only good for you physically, but also mentally. It boosts your energy, mood, and focus. And it reduces stress levels and improves memory. Cycling lets you avoid driving in rush hour traffic, which, by the way, is the most stressful way to get to work. Fewer cars on the road also means less air pollution. Currently an estimated 90% of Americans drive to work. And when 27% of greenhouse gas emissions come from the transportation industry, it makes a huge difference when you reduce the amount of time spent driving in your car. Spending time in nature improves your focus and productivity – even just glancing at pictures of it makes you refreshed and focused. If you can, take a scenic route. Ride through a city park, or along tree-lined streets. Cycling is beneficial for you, your work, and, not to sound dramatic, the whole world. 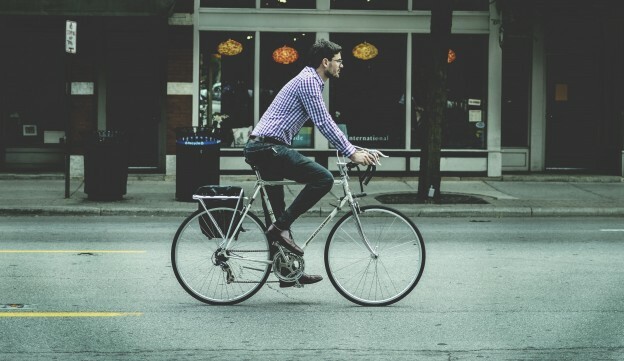 It’s also growing more in popularity – biking to work has increased by 60% in the past decade in the United States. The founders of GreyNut, DeskTime‘s sister company at Draugiem, are huge fans of cycling to work (and cycling in general). But they noticed a problem that may be deterring people from partaking – insufficient and unsafe space to park bikes. 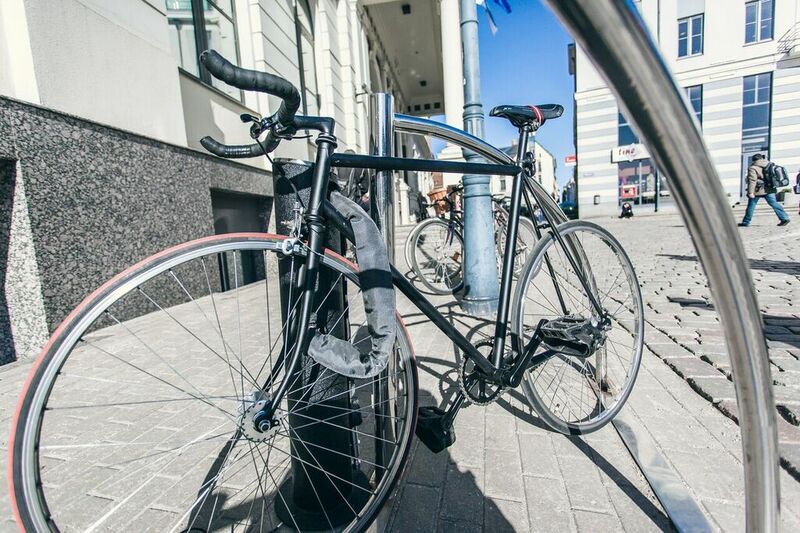 When you lock up your bike in public, there’s a huge risk it’ll get stolen. Bike theft happens more frequently than you’d think, even when you use heavy duty bike locks. Never ones to accept the status quo, the GreyNut team developed Bindio, a smart bicycle parking stand operated by smartphone. Bindio features a hardened steel chain with sensors that detect and report suspicious activity. Cyclists use their phones to reserve, lock, and unlock Bindio stands, and receive notifications in case of attempted theft. It’s also convenient in that it lets cyclists ride without lugging around heavy bike locks. There are currently two Bindio docks set up and in use in Riga, Latvia, but The Greynut team hopes to expand globally. They recently launched their Kickstarter campaign – check it out! And in the meantime, keep cycling and stay productive!